Every year, Mother Nature turns down the thermostat – days become shorter, leaves change colors, and harsh cold fronts leave us shivering. Along with the weather, people bring out their favorite hooded jackets and traditional recipes. Delicious aromas can be smelt in kitchens around the world. One of the most popular wintertime dishes is chili; while there are many variations of it, a few common rules must be observed to achieve the ultimate flavor and quality in any recipe. Creating the perfect chili is not an instantaneous process. While preparation time is relatively short compared to other meals, this hearty stew needs to simmer at least 2-4 hours (or more) in order to achieve the rich taste and texture that so many people love. The most ideal way to go about this is to invest in a crock pot, if you don’t already have one. Prepare the ingredients either the night before, or the morning of, the day you plan to serve your chili. Combine them early in the day, and simmer on low heat with the cover on. You will find that every time you sneak a quick sniff or taste, the spices are seamlessly merging with the other components to create a truly magical chili experience. Almost anything can be used in chili – a wide variety of meats, vegetables, liquids and spices. However, keep in mind that what truly sets a stew apart from a soup is the heartiness of the ingredients. Depending on personal preferences, chop your meats and vegetables in slightly larger pieces. They may seem a little too big when first combining everything, but as the chili simmers everything will shrink and soften to the perfect texture. No matter what recipe you’re using, there is always some room for variation. Do not be afraid to omit something you are not too fond of, or to add something that would taste good. Some of the most common ingredients used include: ground beef, stew meat, Italian sausage, ground turkey, kidney beans, pinto beans, black beans, tomatoes, onions, garlic, celery, and peppers. 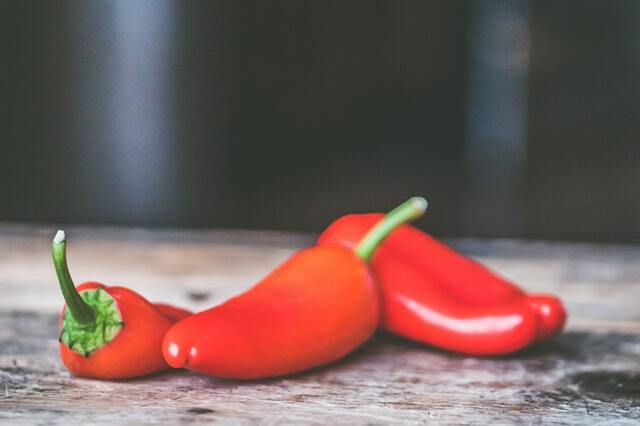 Whether using an existing recipe or creating your own, remember that personal taste is crucial to the success of your chili. If you are serving young children, they may not like many spices or large chunks of vegetables. Test your concoction as you go along. Remember that certain flavors may increase or diminish during the cooking time. If you accidentally add too much of something, do not panic – it is easily corrected by adding a little extra of the liquid bases you are using to balance out the mistake. When the chili is finally ready to serve, it is still not fully finished. Every chili is completed by various companion foods, such as crackers and cornbread. There are also many garnishes you can provide to satisfy every guests’ individual taste. Consider serving shredded cheese, sour cream, black olives, chopped onions, peppers, and cilantro on the side to top off the perfect bowl of chili.